Born in 1956, Bryan Hanlon is a self-taught artist whose seemingly endless well of inspiration is drawn from wildlife. Whether that’s his native Wiltshire, or from his regular forays into America and Africa, the latter of which resulted in his incredible book, Birds and Beasts Africa: Observations of a Wildlife Artist. Hanlon moved to Marlborough in 1980 to pursue a career as a painter and sculptor. He is completely self-taught, and perhaps because of this, his work has been unrestricted in its diversity. Although he is predominantly known as for his work on birds and wildlife in general, Hanlon has ventured into other subjects, from landscapes to sporting subjects. He is widely regarded as one of the UK’s most diverse artists in his genre, both in subject matter and medium, from paintings in egg tempera through to oil and sculptures in bronze. 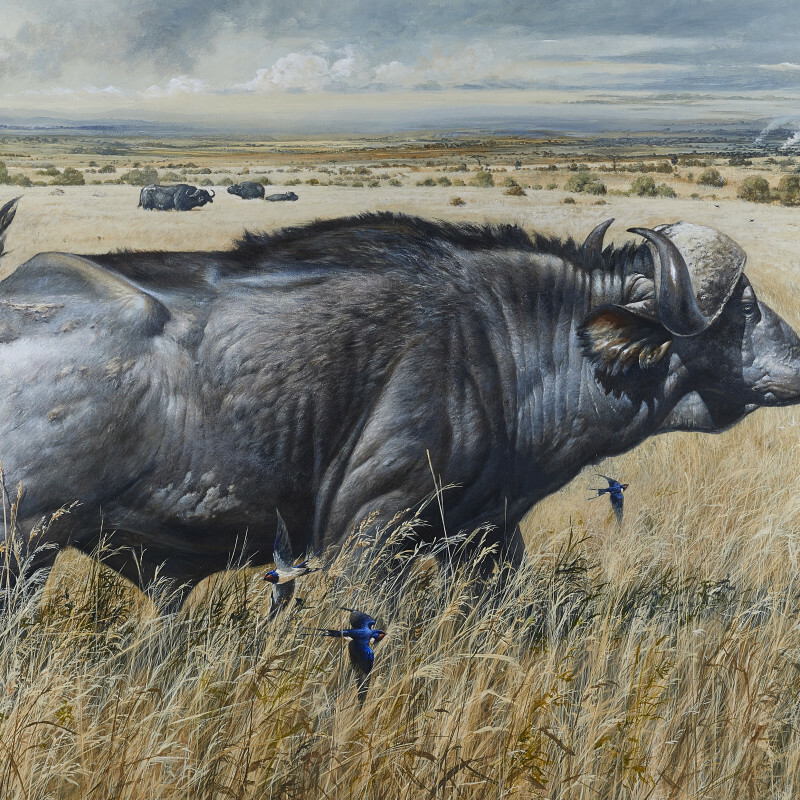 However, Hanlon’s artwork on wildlife remains his most loved and most admired. It is this that has led to many successful exhibitions including the prestigious ‘Birds in Art’ exhibition in Wisconsin, America, the International Animal Art Fair, France, The Rainforest Exhibition, Barbican, London,and the Whaletail Exhibition, Nairobi, Kenya. Bryan was also commissioned by Jersey Zoo to paint a picture to commemorate their 25th Anniversary, featuring Gerald Durrell along with 25 endangered species. In 2010, Hanlon was awarded Wiltshire Artist of the year and in the same year was nominated as Marlborough Artist in Residence. In and amongst his travels, he has also been Artist in Residence at Wallsworth Hall, Gloucester and has taught art at Marlborough College Summer School. Hanlon's original work is much admired and sought after by the art community and he is widely considered to be amongst the best British artists in his genre.